We asked Jon Sherman, founder and creative director of Brooklyn-based wallpaper company Flavor Paper, to share his tips on finding the right wall covering. "The scale of the installation and the budget must be balanced," Sherman says. "If your budget is $1000, either you can use a less expensive wallpaper and cover all four walls, or you can use a very expensive wallpaper and cover one wall. If you know this ahead of time you can see which option is right for the project at hand." 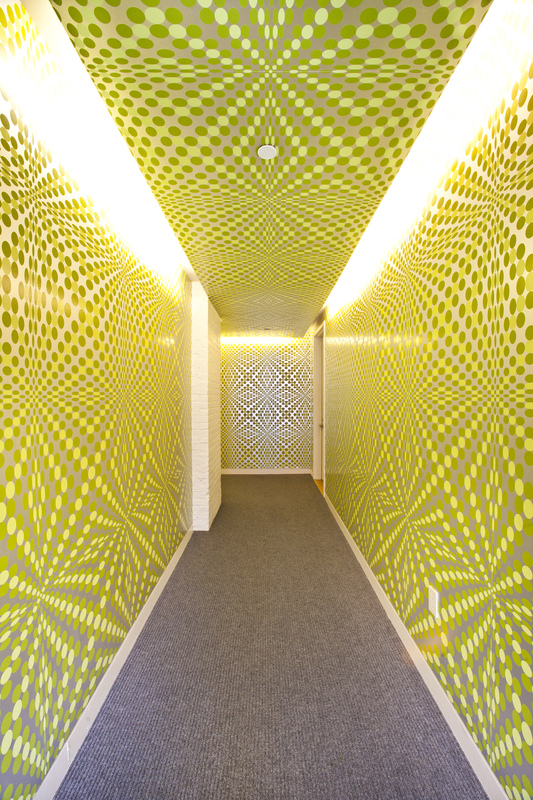 "Usage of the space to be wallpapered is also key," Sherman says. "If you are installing in a bathroom, you certainly don’t want to use anything water sensitive. And if you have kids or pets, you don’t want anything that can’t be cleaned easily. Once you have determined these aspects, you can swing any direction on color and pattern to suit your taste." Sherman recommends reflective materials for smaller spaces. "Metallic materials and colors to add light movement and mirror effects, immediately making a space feel more dynamic and larger," he says. For shoppers on a budget, Sherman recommends the following tricks: "Pick a smaller feature wall or accent areas. Choose a wallpaper you can install yourself, if so inclined. Look for sample sales." Above all, determine what you want your wallpaper to do. "Wallpaper can be used to accomplish a variety of goals. It can draw the eye to make a room feel larger, brighter or to focus on one specific area," Sherman says.